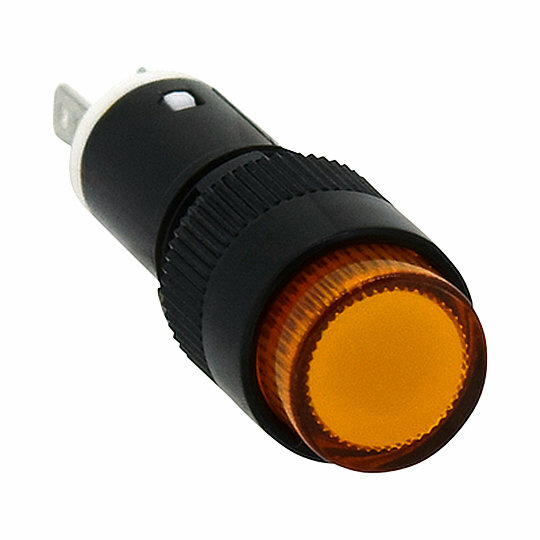 The 133R/134R/138R series of reflector LED indicators from Sloan are rear panel mounted indicators with threaded housing that is designed for panel cut outs of 6.1mm. Available with a raised reflector style hood and a choice of 2-3V LED in the following colours and brightnesses…. 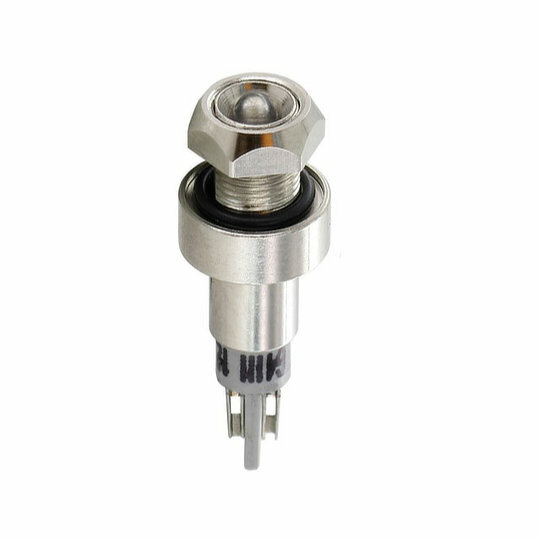 The 134/135/138 series of reflector LED indicators from Sloan are front panel mounted indicators with threaded housing that is designed for panel cut outs of 6.2mm. Available with a raised reflector style hood and a choice of 2-3V LED in the following colours and brightnesses…. 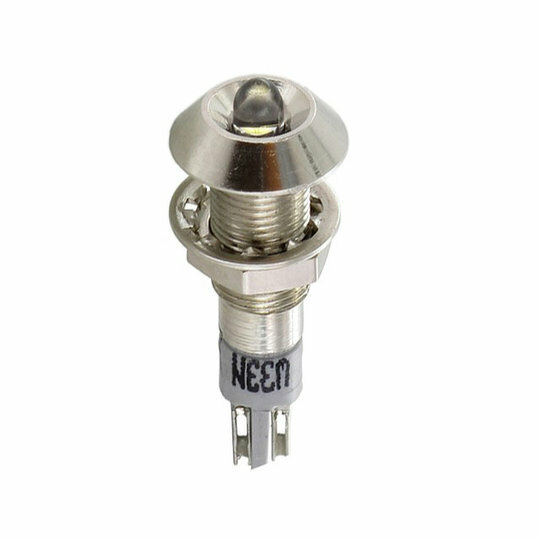 The 13C/14C series of reflector LED indicators from Sloan are front-mounted panel indicators with threaded housing that is designed for panel cut outs of 6.2mm. Available with a raised reflector style hood and a choice of 2-3V LED in the following colours and brightnesses…. 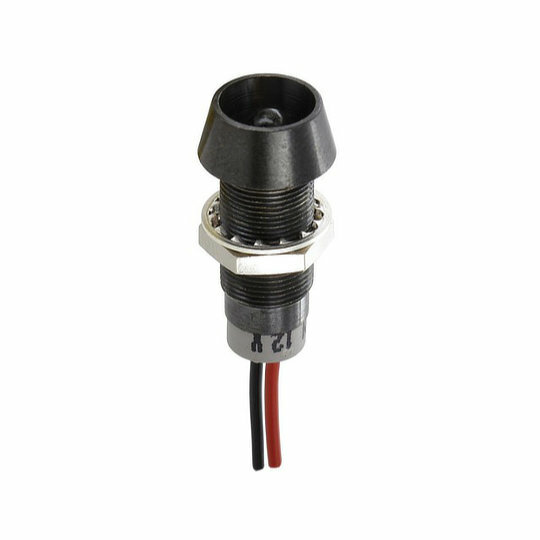 The 144/145/148 series of reflector LED indicators from Sloan are front panel mounted indicators with threaded housing that is designed for panel cut outs of 6.2mm. Available with a reflector style hood and exposed LED in a choice of 2-3V LED diodes in the following colours and brightnesses…. 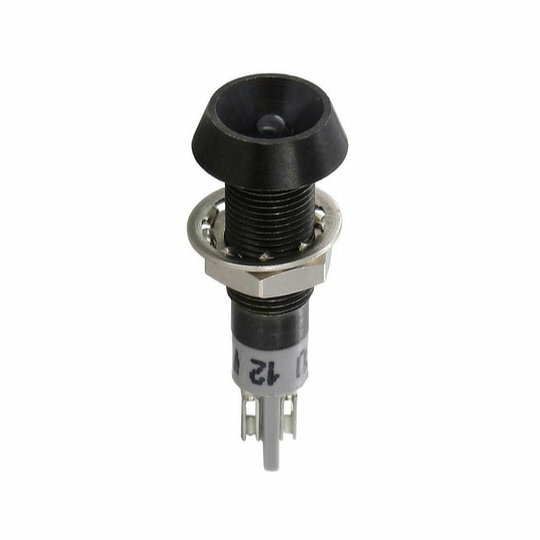 The 153/154/158 series of reflector LED indicators from Sloan are front panel mounted indicators with threaded housing that is designed for panel cut outs of 6.2mm. Available with a miniature reflector style hood and exposed LED diode in a choice of 2-3V LED in the following colours and brightnesses…. 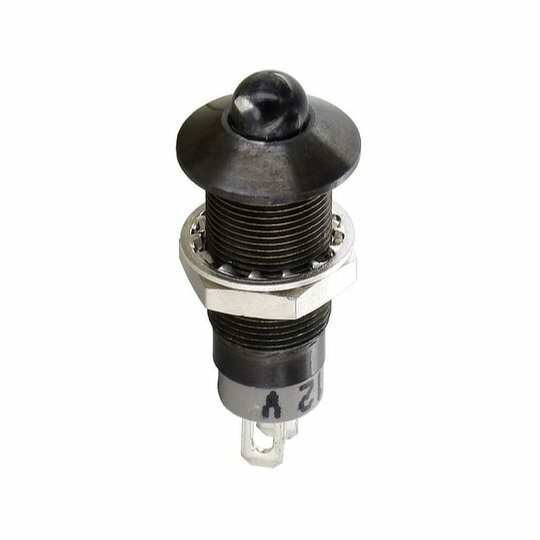 The 333/334/338 series of reflector LED indicators from Sloan are front panel mounted indicators with threaded housing that is designed for panel cut outs of 8.2mm. Available with a raised reflector style hood and a choice of 2-3V LED in the following colours, brightnesses and sources…. 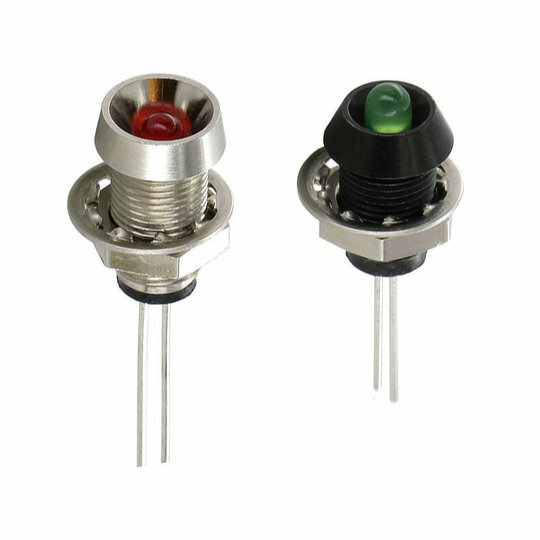 The 353/354/358 series of reflector LED indicators from Sloan are front panel mounted indicators with threaded housing that is designed for panel cut outs of 8.2mm. Available with a reflector style hood and raised LED diode in a choice of 2-3V LED in the following colours, brightnesses and sources…. 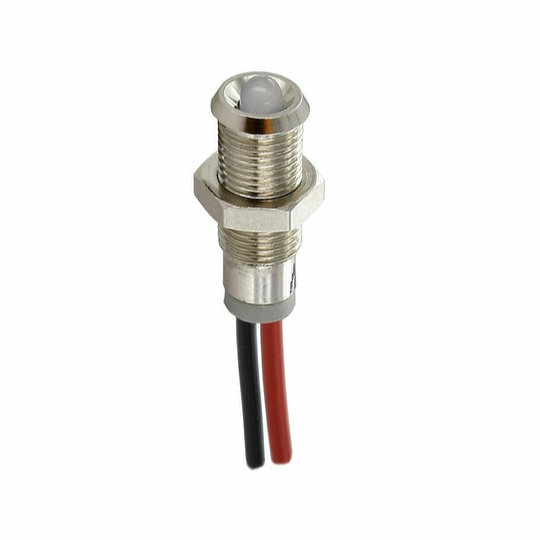 The AP and UP series of reflector LED indicators from IDEC are front panel mounted indicators with threaded housing that is designed for panel cut outs of 6mm, 7mm, 8mm, 9mm, 10mm, 12mm and 16mm. Available in a choice of reflector or flat style circular hoods or square/rectangle hoods with the AP series only and in the following colours….